You sir are a legend, I am going to use a modified version of this to create a washing machine sensor. If I only need one MPU6050 (got a washer/dyer combo unit) then do I only need to connect the 5V GND SCL SDA pins. The AD0 pin is only needed for an additional MPU6050. Great trick! Just a question from my end; why not going for a solution that measures the absorbed electricity? That’s what I am using quite reliable. I have this exact use case, a Sonoff Pow monitoring the power usage, with an automation that sends a push bullet when the wattage drops below 5 watts for 2 mins, then switches off the Sonoff Pow. Can you post your code from home assistant for me too look at, I got loads of pre-flashed Sonoffs boxes just laying around. figured out the code needed for a POW Sonoff. This is great. 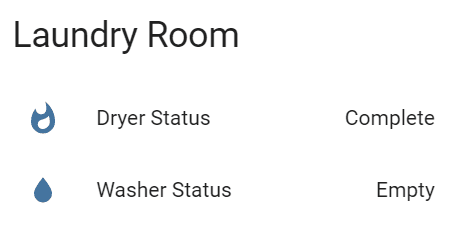 When the washer hits the soak cycle, does that report that it’s complete? I never would have thought of using an accelerometer, I’m going to have to try this. May I know where and how do you attach the accelerometer? Do you need to open up the washing machine? A picture will definitely help. What did you use to monitor the x, y and z ranges in order to set the threshold values? I ended up using an accelerometer attached to the back of each appliance. 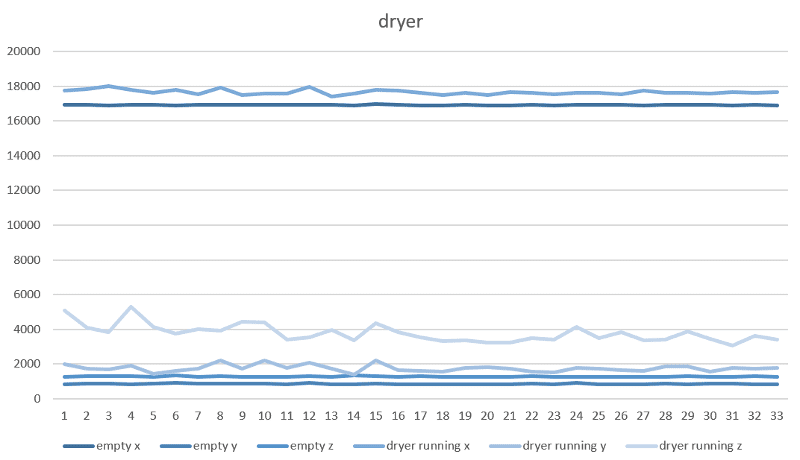 I also added magnetic reed switches on the doors of the washer and dryer to detect whether they’re open or closed. Looking at the NodeMCU pin-out it appears as though it does not have 5V, SCL and SDA pins. 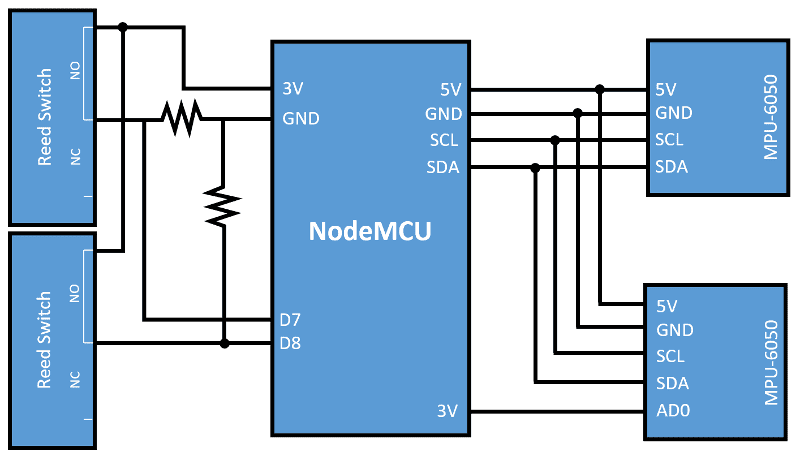 So, how do you hook the MPU-6050 to the NodeMCU? What are the resistor values used for the reed switches? Do you have an actual wiring diagram of this implementation? SCL is D1 and SDA is D2 on the NodeMCU. At least from what I could find. Came to ask about the library for programming. I couldn’t figure out which #include “I2Cdev.h” to use. I found a rowberg on github but I couldn’t figure out how to get it to compile. I got it all together and programmed but it’s not responding to anything other than MQTT. The reed switches I built I used 330k, no idea if that works though. I couldn’t get a single MPU6050 to respond to the program. I’m guessing it’s the library I used. OP hasn’t responded ever in this thread so I’m guessing we’re on our own. If you find another setup that works with ESP & 6050’s come back and post it plz. I’ll do the same. Have you thought about doing it in EspHome? 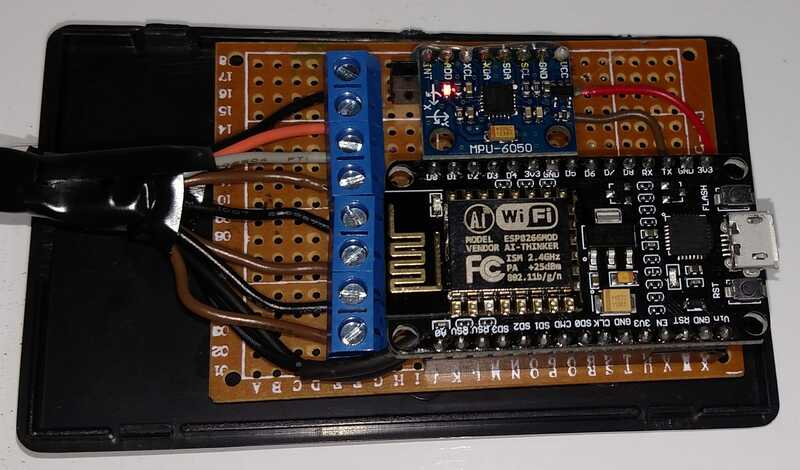 The I2C bus is simple to set up, but I haven’t used it with one of these MPU sensors, only with a pressure sensor. It doesn’t seem like it would be too difficult, the data for individual axis’ would be available straight to HA and you could automate from there.